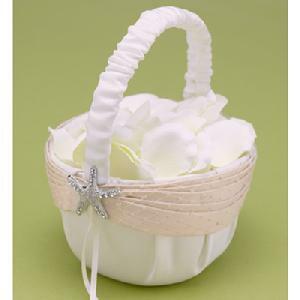 11252 - Ivory matte satin basket with sand colored, gathered satin band, French netting overlay, pearl accents and silver-tone, starfish embellishments with rhinestone accents. 8" tall. Petals not included.